Join us for Fight Night at B2 burgers & brews! NO COVER! Get here early to claim your seats. Reservations available for 8+. Taco Tuesday starts this Tuesday at b2!! 3 fabulous tacos you have come to love and enjoy we will available at b2 starting at $2 a taco every Tuesday! Check Facebook for our 3 tacos of the week! Join us every Wednesday at 7:30pm for a 2-hour live interactive trivia game show. Trivia is hosted by Showtime Trivia Live! Everyone loves great burgers & beer, dropping knowledge, and winning awesome priLizes! 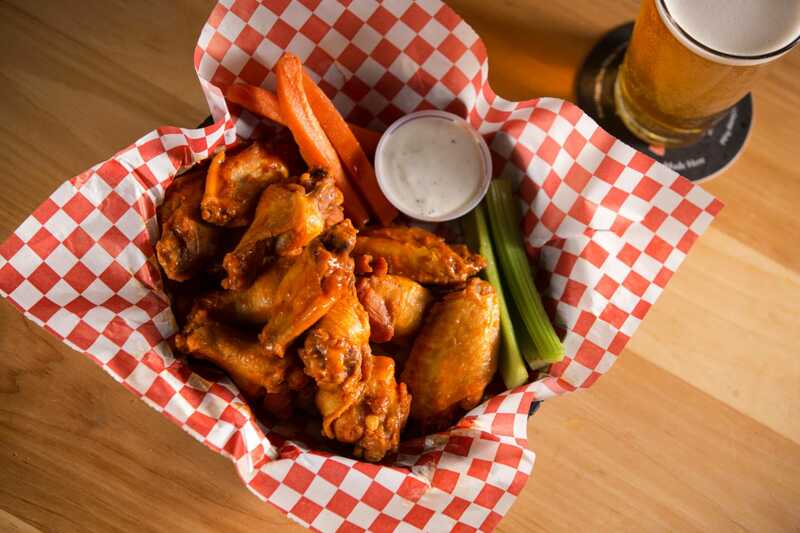 Get here early for happy hour, 55 cent wings and live music with Chris Buzan from 5-7:30pm every Wednesday! We are excited to have Chris Buzan back this Wednesday from 5-7:30pm! 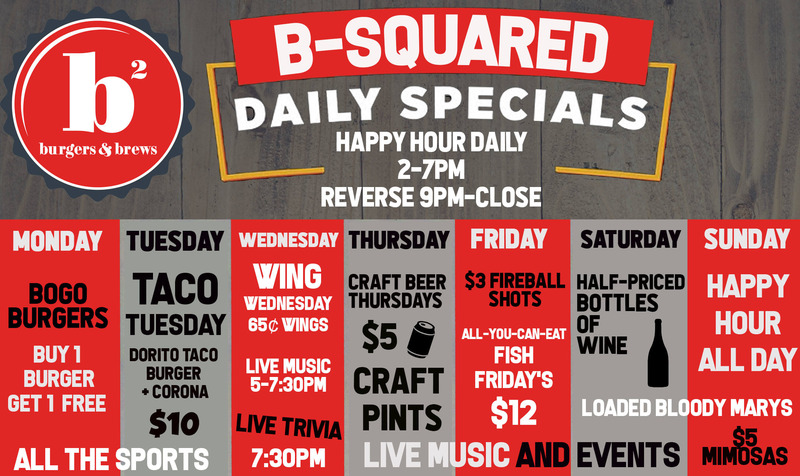 65¢ wings ALL DAY, happy hour 2-7pm, Showtime Trivia Live / live bar trivia at 7:30pm and reverse happy hour 9-close. Catch Julia Grayling, Friday, April 19th. Solo acoustic set at B2 burgers & brews from 7-10pm. $3 Fireball, happy hour 2-7pm! Join us every Wednesday for Wing Wednesday! 65¢ jumbo wings every Wednesday with the purchase of any beverage. Join us for our next Corona PREMIER sampling with Crescent Crown Distributing from 6-7pm on Tuesday, April 16!. Come try the brand-new Corona Premier with samples, swag and more for Taco Tuesday! This all new game is another original and unique concept from our friends at Showtime Trivia Live and incorporates all the things you love about the fun and interactivity of their trivia game show and drops them into an amazingly fun Bingo game for all ages! Join us for Fireball Friday's at B2 burgers & brews! Enjoy $3 Fireball shots all day every Friday.